Last Saturday Mom + I took a sewing break to visit 6 quilting shops in our area. And that was quite a day! You see, we live in Atlanta, GA and all 6 of these quilt shops are 20-60 minutes away from us. Add that all up, well that’s a whole lotta driving for 2 homebodies! Hold on, I can hear you now: “Um, Jenn, 20-60 minutes times 6 shops is nothing.” I know, I know!! I’ll fully admit Mom and I don’t have “driving stamina.” We both live and work in the same neighborhood. Seriously, mom lives like 3 streets away – so yeah, we don’t drive much. However, The Greater Atlanta Quilt Shop Hop (say that fast 3 times) was the perfect opportunity for us to set our driving aversion aside and check out these wonderful quilt shops. You’d think that living in Atlanta would afford us access to loads of quilt shops! But to be honest, the traffic is so horrific here, we rarely make our way to these shops – even if they’re in the outskirts of Atlanta. They might as well be on the moon! So with a little planning and a lot of coffee, mom + I set out on our Quilting Adventure! Our trip around the world, I mean, Atlanta, afforded us A LOT of time to reflect on the pros and cons of online quilt shops vs brick and mortar quilt shops + we wanted to share with you our key takeaways. There’s something to be said for seeing real life people and having real life quilting conversations. Quilters are so nice!! We love that we get to connect with quilters all over the world via Facebook, Instagram, Blog Posts, and all things social media, but that real person element is hard to beat. On the flip side, when you talk quilts with only local folks, you’re missing out on all the cool and worldy quilting peeps you can only encounter online. So if you can’t get out to a brick + mortar quilt shop, then get out on social media. Message those quilters you admire + those shops you love. Ask questions, take part in quilt-alongs, say ‘Hi.’ Quilting is so much more fun when you’ve got a community. 2. Quilting Classes and Events are So Much Fun! Confession: we like quilting YouTube videos. Mom and I geek out and binge watch different ways to press seams, because we’re cool like that. But we LOVE in-person quilting classes. 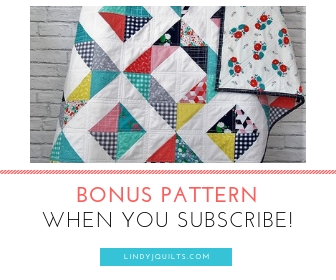 Sure, there are pros and cons to taking quilting classes online and at brick and mortar shops. But taking a class in person, with a real instructor nearby to help you through tough quilting moments, well, that’s something you just don’t get online. These shops offer tons of amazing classes and we’ll be sure to participate in some – if our schedules allow it! Heard of a “V-Block”? Me neither, but after this insightful demo, I added this ruler to my must-have quilt tool arsenal. Quilt shops have a great opportunity to share new quilting tool ideas to their patrons. Sure you can google and YouTube, but again, watching a real live person demo a nifty little ruler – well, it’s inspiring and more hands on. And I don’t know about you, but I learn better hands on. Now how should I use this new ruler??? The commute. Yes, I’m back on the whole driving thing!!! The closest quilt shop to us is a 20 minute drive (without traffic, but when does that ever happen??). Whatever, I don’t like driving. I like being home. I have to get my head space ready when I need to make a trip. I also have to make all kinds of babysitting arrangements for my kiddos. Or I guess I could just bring them with me? No!!! I love my girls, but who really wants 5 and 4-year-old girls running wild in a quilt shop??? Shopping in Peace – No Crazy Kids Here! The best way to skip the commute is to go online. Online’s where we do the bulk of all our fabric shopping. The fabric selections are essentially limitless, shipping is pretty quick, and you don’t have to spend the day in the car only to find your nearest shop doesn’t carry what you were looking for. Stash Fabrics – Bonus, they’re here in Atlanta!!! And since we know we like quilting fabric lines such as Moda, Riley Blake, Art Gallery Fabrics, and Robert Kaufman, we keep tabs on all the new collections they produce. We know we’re always getting quality quilting fabric with them. The Greater Atlanta Quilt Shop Hop 2019 = Good Times! The Greater Atlanta Quilt Shop Hop was an awesome chance to surround ourselves with beautiful fabric + beautiful quilting folks. Tiny Stitches Display – Amazing, Right??!? and most importantly: we perused lots and lots of FABRIC! Isn’t it great we get to live in an age where you can practically have the best of both worlds: online + in person? It truly is amazing to be able to break out of your little local bubble every once in a while. I know Mom and I are super lucky to share the love of quilting with each other, because it is important to be able to share what you’re passionate about with others. And even though we’re still smarting after not winning ANY prizes for getting our passports stamped at all 6 shops (bummer! ), we did get new tools, info, and FABRIC! We gravitated towards fun + bright prints! We sure did love this event and we will definitely take part in it next year! And be on the lookout for our upcoming adventures in future blog posts. In fact, we’re heading to Ohio next weekend to get fully immersed in Electric Quilt 8! We’re super excited and we can’t wait to learn all the ins and outs of EQ8. Tell us what YOU’RE up to! Any quilting classes, guilds, conventions you’re a part of? Do you have any local shops where they know you by name and have the rotary cutter primed and ready for your latest buys? We’d love to hear all about it! Talk soon + Happy Quilting! Previous PostSpring Cleaning – Destash Fabric Sale!